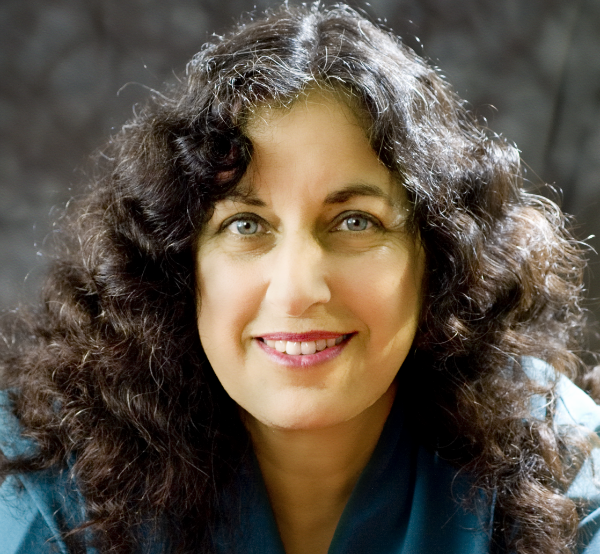 Margarita Engle talks to Summer Edward about her upcoming middle grade to young adult novel, Silver People: Voices from the Panama Canal, her love of rain forests, imagining the historical past and more. Margarita Engle is the Cuban-American winner of the first Newbery Honor ever awarded to a Latino. Her award winning young adult novels in verse include The Surrender Tree, The Poet Slave of Cuba, Tropical Secrets, and The Firefly Letters. Engle’s most recent books are The Lightning Dreamer and When You Wander. Her new middle grade chapter book, Mountain Dog, was published in August 2013. Margarita's upcoming book, Silver People: Voices From the Panama Canal, will be released in 2014. She lives in central California where she enjoys helping her husband with his volunteer work for wilderness search and rescue dog training programs. S.E. : Silver People: Voices from the Panama Canal is your upcoming children’s novel from Harcourt Publishers and University of Queensland Press. The book’s release will coincide with the centenary of the Panama Canal in 2014. What is the story behind this book and what inspired you to tell the story of the “silver people” 100 years later? M. E.: Long ago, when I was still working as a botanist, I was treated kindly by silver people of Jamaican ancestry, in a remote corner of Costa Rica’s rain forest. I was surprised to learn that they were the descendants of a massive labor force of imported Panama Canal “diggers” who were abandoned by the U.S. at the end of the project, and had to spread out in search of work on banana plantations. This book is written in honor of all the “silver people” from all the Caribbean islands and southern Europe, who were paid silver, while Americans and northern Europeans received gold, simply based on skin color. Silver People is also my personal love letter to tropical rain forests. S.E. : What was something surprising or interesting that you learnt, either about Panamanian history or about yourself (or both), while researching and writing Silver People? M.E. : I knew about the Panama Canal Zone’s U.S.-imposed, apartheid-like system of racial discrimination, because my Cuban mother talked about it when I was a child. I was only vaguely aware that most of the Panama Canal’s incomprehensibly vast excavation was accomplished by Caribbean islanders with shovels, not modern equipment. I had no idea that there were hundreds of thousands of laborers, over a period of decades that began with a disastrous attempt by France, and ended with a successful one by the U.S. S.E. 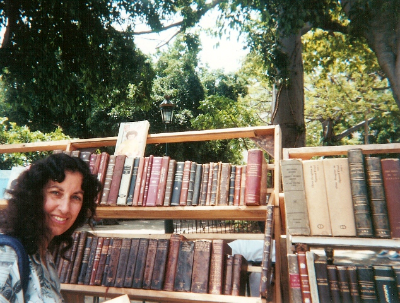 : As a children’s and young adult writer, you are known for your historical picturebooks and verse novels that combine poetry, history and biography to tell stories about the Cuban experience. How and why did you hit upon this particular “formula” if you will, for writing books? Why the verse novel form in particular? M.E. : It is a passion. When I was writing my first two young adult verse novels, The Poet Slave of Cuba, and The Surrender Tree, I fell madly in love with the form. Now, every time I try to go back to prose, I find myself feeling unsatisfied. I need free verse. This form allows me to distill complex historical situations down to their emotional essence. I am more interested in asking questions with my books, than in trying to answer them. My recurring question is, “What did it feel like to live in that time and place? I invite modern young readers to join me in wondering about the young people of long ago, who often managed to make hopeful choices in times that must have seemed hopeless. S.E. : Your books are largely biographies and so your characters are either imagined historical people or real life historical figures like the Swedish traveler Fredrika Bremer in Firefly Letters and the celebrated Cuban poet Juan Francisco Manzano in Poet Slave of Cuba. What are some of the things you have had to consider when bringing historical characters to life in general and in Silver People in particular? M.E. : Because my books are verse novels rather than academic biographies, “poetic license” allows me to imagine missing details. Nevertheless, I am happiest when a first person diary is available, which was true for both Bremer and Manzano. I did not have to imagine events, because they wrote about their own lives, and all I had to do was wonder how those events felt. In the case of Silver People, I read many first person accounts, in order to develop composite characters. The topic of Panama Canal construction is so incredibly enormous that I could only portray a few people. Many characters were written out of early drafts, in order to avoid losing the emotional impact of wondering about the lives of individuals. I chose to focus on a Cuban character for reasons of cultural familiarity, even though the vast majority of laborers were from Jamaica and Barbados. I hope writers from those islands, and from Panama, will also offer their own portrayals, which I will be eager to read. S.E. : Typically your books have multiple characters who speak in first-person free verse. In Silver People, along with the voices of the West Indian labourers, you’ve included the voices of the animals and trees of the Panama rainforest. Tell us a bit about what voice means to you and about the nature of voice in your work. How do you go about creating unique voices for your characters and is this difficult to do? M.E. : Writing the voices of animals and trees came so naturally to me that I don’t know if I will ever feel entirely human again. Perhaps it is because I am a botanist and birdwatcher, married to an entomologist, but also because I love to imagine. Imagine the tropics without rain forest. Imagine the future without biological diversity. Imagine the laments of falling trees, the protests of howler monkeys, the survival strategies of butterflies and snakes… I hope children can learn some basic rain forest biology from these voices. I also hope they learn about balance. The Panama Canal was the first modern engineering project of its magnitude. Even today, it is viewed as a symbol of man’s conquest of nature. Imagine if someday, somehow, people who are just children now, will grow up to be adults who learn how to balance “progress” and conservation. I hope teachers will let children choose voices to read out loud. What twelve-year-old would not instinctively understand the territorial rage of howlers, or the shy camouflage of sloths? S.E. : You were born in Los Angeles, the child of a Cuban immigrant mother, and have lived in the United States all your life. Cuban history, culture and people figure predominantly in your work. How have you maintained your connection to Cuba and what made you focus on Cuba as your writing material? M.E. : Childhood summers in Cuba were the magnet that keeps drawing me back. I have returned many times since 1991, but during the worst of Cold War isolation, from before the 1962 Missile Crisis until after the fall of the Soviet Union, I could not travel to Cuba. Those were decades of imagining. The island became more than a real place. It was the emotional center of my childhood’s universe, and now it is the magic-realistic center of my poetry. I just completed a childhood memoir that has helped me clarify my hyphenated self. I have, however, also branched out. Two of my new books for younger children, When You Wander, and Mountain Dog, are set in the U.S., because my husband is a volunteer K-9 handler, and our dogs are wilderness SAR dogs, trained to find lost hikers in the Sierra Nevada mountains. I spend part of every weekend hiding in the forest near Yosemite, so the dogs can practice finding a lost person. It is a huge part of my “real life.” I also have a picture book called Tiny Rabbit’s BIG WISH, coming out in March, and one due out next year, about orangutans, inspired by a visit to a wildlife refuge in Borneo. S.E. : I always look forward to seeing the cover art for your books; I find the covers quite distinctive. Raúl Colón did the cover art for Silver People and also for Tropical Secrets: Holocaust Refugees in Cuba. I am a Raúl Colón fan myself. Do you ever collaborate with illustrators and do you place a high value on what the covers of your books look like? S.E. : Most children’s writers come to the craft of writing stories for children with a specific vision for reaching child readers. What is the hope or message that propels you as a children’s author and what do you think Caribbean children in particular can gain from reading your books? M.E. 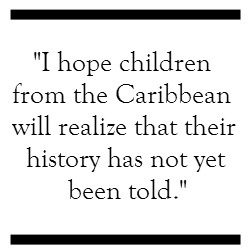 : I hope children from the Caribbean will realize that their history has not yet been told. Only the mainland view is available for most topics. Young people will be the ones who can grow up and research, write, correct errors of misunderstanding…I also hope that children from any background will be able to identify with the universal themes of freedom and justice. I hope readers enjoy the adventure of history, experiencing books as a form of time travel. I hope they fall in love with poetry---I know some teachers avoid poetry because they assume it will be hard to understand, but that’s not true of novels written in free verse. These books have friendly pages, with just a few simple words, and a great deal of open space that can be filled in by the reader’s own imagination. I hope children will see my books as gardens where they can plant their own thoughts. Summer Edward was born in Trinidad and lives in Philadelphia, USA. She is the Managing Editor and Kids Editor here at Anansesem. Her poems and art have been published in literary magazines such as Obsidian: Literature in the African Diaspora, tongues of the ocean, BIM: Arts for the 21st Century, Philadelphia Stories, The Columbia Review, The Caribbean Writer, sx salon and more. She was shortlisted for the 2012 Small Axe Literary Prize in the fiction category. She blogs at www.summeredward.com.